Fun one today on internet acronyms. I use the common ones quite often–BRB, LOL, ASAP, WYSIWYG. But many others I often have to look up. This list will definitely come handy. As always, if you have a favorite infographic or tips to share, please feel free to comment. 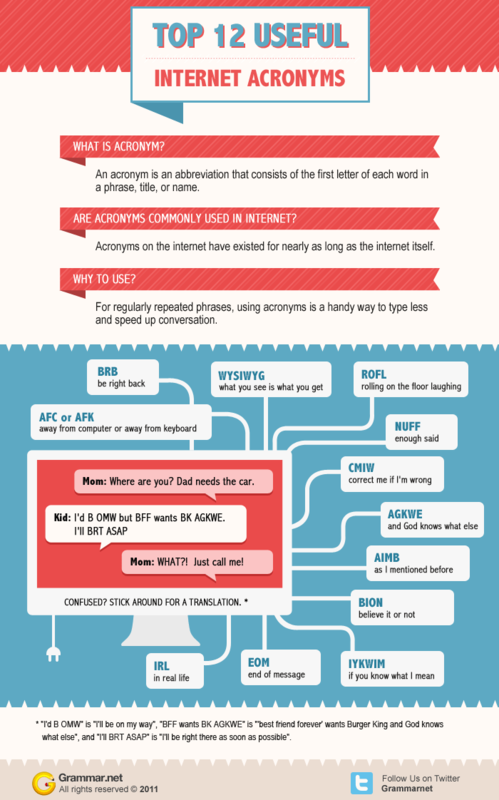 Source: Top 12 useful internet acronyms from grammar.net.